God is Good All the Time…All the Time God is Good…God is Always Good! Saturday was Family Fun Day at First Baptist Church of Kennett Square. Plans had been made, publicity was sent to the public, church family, VBS participants and JAM daycare families. Food had been purchased. We had arranged for a mini zoo complete with pony and horse rides. Our praise team was set up and ready to play. The bounce house was all set and ready to go. Everything was in place for a great day of Family Fun…and then it rained…and then it poured. When I say it poured I mean it turned the parking lot into a river and the street below looked like a raging river. What was amazing to watch was that nobody complained. People adjusted plans and went about having a great time in a slightly different way. At one point I was giving some of the children rides up and down the sanctuary aisle on a hand truck. Listening to the laughter and looking at the smiles you would have thought they were in the bounce house or riding a pony across the church lawn. The weather may not have been what any of us would have chosen if something like the weather was within our control…but we had a great day. I know what they mean. They have been praying for me and as my body is responding to the treatments in the best way possible they are happy and it is seen as a cause for celebration. I join them in that celebration. I too am thankful to God for the way my body is responding and what that means for my future. Yet here is my dilemma. If my numbers had not moved one bit, or even gotten worse and my scans showed no signs of improvement every one of those words offered would still be valid. God would still be worthy of praise. God would still be good. My prayers would have been answered…just not the way I would have liked or envisioned. Would I (we) be willing, able, likely to say, “Praise God!” if I told you my numbers looked bad and the treatments were not working? Would I (we) say, “God is Good” if I was at a place where we needed to call hospice to provide me care? My sense is that would be a lot harder for us to do. There have been, and will continue to be, many families who pray for loved ones to be healed from any number of illnesses that end up traveling the difficult journey through grief and loss. As a pastor one of the most sacred things I have the privilege of doing is walking with people through those most difficult of times. I get invited into the inner circle of family as they mourn the loss of one who has held a special place in their hearts. I have watched people in the midst of grief and loss Praise God for the life of the one they have just lost. I have heard people boldly declare that “God is Good” even as their hearts are breaking and there seems like there may be no tomorrow, or that it will be filled with pain. I have gathered with family around the bedside of someone who is dying and celebrated the way God has worked and moved in their life, the lessons learned and examples set. I have walked out of hospital rooms knowing that I have said, “Goodbye” for the last time to someone I have cared deeply for. Walking down the hall I have been able to praise God for leading those people into my life and for the sacred time we just had together. I wonder what people who have prayed for healing in a loved ones’ life, only to undergone loss and pain hear when we boldly declare “God is Good” in response to the healing of someone else. What must go through their minds as we utter “Praise God” when we hear of someone responding to treatment? It is good for us to celebrate when God’s grace and healing work is alive and well in our lives. We need to celebrate in a way that is sensitive to those who have journeyed through loss and grief in spite of their prayers. We need to celebrate in a way that acknowledges the reality and truth that God is good and worthy of praise when the sun is out and everything is going “our way” and when the rain is pouring down and ruining our plans and dreams. May I (we) learn from the children at Family Fun Day. We can rejoice and be happy jumping in the bounce house. We can smile as we ride a horse or pony across the church lawn. 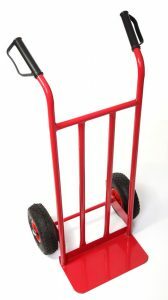 We are equally able to rejoice if the rain is pouring down and we are riding a hand truck up and down the sanctuary aisles while being pushed by a sickly pastor who cannot move too fast. Joy is found everywhere! Praise God! God is Good! Thank God for answered prayers! 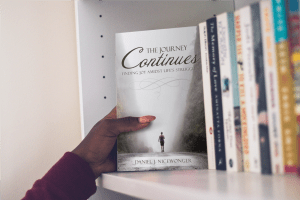 I pray that as I continue life’s’ journey I will be able to consistently and appropriately give God all the praise He deserves.